OH!Chart’s revamped system has resulted in a tougher fight for the top spot. 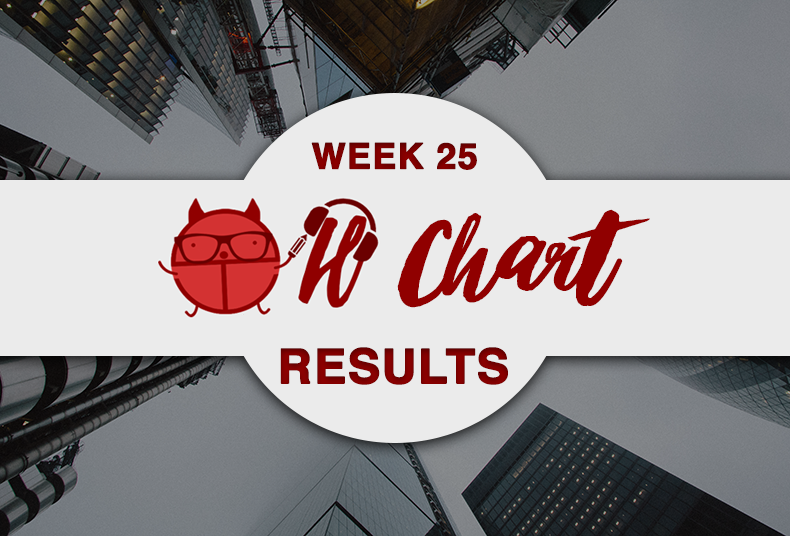 With six new nominees, chart regulars are facing an uphill battle to record respectable scores. Boom boy group BTS blitzed their way to back-to-back OH! Chart crowns for “DNA” after recording 25.05 points. Popular duo Bolbbalgan4 made a successful return to OH! Chart proceedings, with their latest songs, “Some” and “To My Youth” claiming second and third place on 12.45 points and 9.59 points. Bolbbalgan also took out fourth place for “Blue” on 8.05 points. In the physicals category, BTS could not be stopped from winning first place with 52,960 copies. Senior boy group B1A4 finished second on 9803 copies. Newbie group ONF ensured it was the boy group show by notching third spot with 1527 copies. Bolbbalgan’s “Some” stormed to pole position in downloads with 186,466 hits. The duo consolidated a clean sweep in the top three spots after they posted 146,278 hits for “To My Youth” and 118,781 hits for “Blue”. Meanwhile, Bolbbalgan4 also claimed first and second place in the streaming category for “Some” and “Blue” with 8,231,140 and 5,905,349 hits. Famous soloist IU spoiled the duo’s party by winning third spot for “Autumn Morning” on 5,595,442 hits. BTS showed off their powerful fanbase on OH by winning the OH votes with 66 votes. Fan favourite Sunmi finished second with 30 votes for “Gashina”. Bolbbalgan4 capped off a empathic return to the OH!Chart by posting 18 votes in third place. BTS’ latest title track “DNA” has swept the Korean music charts of late. This energetic track is different to the group’s previous releases, but it retains a catchy tune that sticks in people’s heads. Plus, the choreography does not disappoint, as it shows off the boys’ dancing prowess and signature in-sync style. Considering BTS’ strong fanbase, this track should stick around for more success in the coming weeks. Can BTS record a triple crown? Will Bolbbalgan4 take advantage of their three nominated tracks next week? Or will another idol group rise to the challenge? Let us know your thoughts below!